The Standing Committee on Finance received briefings from the Land Bank, the Pension Fund Adjudicator and the Financial Advisory and Intermediary Services Ombud. The Land bank gave a background of the bank and the bank’s performance for the last financial year. It spoke to its contribution to the economy, the financing of emerging farmers and the Retail Emerging Farmers Market (REM) model, to the bank’s role in the National Development Plan (NDP) and to the challenges the bank faced. Members asked why the CEO post was not filled and where was the previous CEO. Members asked if the money from non-performing loans during the term of the previous CEO would be recovered. Members were concerned that the bank was not getting private investors to invest. Members wanted more detail on the misalignment of government agricultural funding. What was the bank’s role vis-a-vis other similar banks like the BRICS bank? Which other institutions dealt with agricultural development funds. Members asked whether the bank should not take a stake in the businesses so that it was an involved party in the success of the business. What was the philosophy of the bank? What was their relationship with universities and agricultural colleges? Members said the Committee had never received a report on the mess that the bank had been in and the various cases that had arisen. How could the Committee assist on the misalignment of funding? How were the non-financial challenges going to be addressed? Members said redistribution was not working. Was the jobs the bank claimed it had created, work or work opportunities? How did one strike a balance between commercial and emerging farmers? How had the bank engaged with the Committee and with the Department of Rural Development and Land Reform (DRDLR) over the past five years and what would they like the Committee to do to assist them. What could be done to make a success of land reform? What did they want the Committee to assist them with? What sort of non-financial support would work, given the limited state capacity? The Pension Funds Adjudicator spoke to its mandate, its role in terms of the NDP, its strategic plan and the challenges it faced. Members asked what their budget for litigation was. What role did they have in increasing financial literacy? Members said the PFA had an important role in sensitising communities as it was not known by the public. What was its marketing budget? Why were people withdrawing their pension monies instead of saving their money? What public awareness was being done as there was a lack of consumer education in townships and rural areas? Did the PFA have a board and what was the structure of the board? How long, on average, did the settlement process take from complaint to resolution? Could an employer withdraw the funds unilaterally and take a portion from it for loans owing when an employee resigned and wanted to transfer monies to another fund? Were cases like these a PFA case, a Council for Conciliation, Mediation and Arbitration case or a Department of Labour case? Members acknowledged the crucial role played by the PFA and asked if the Committee could assist in any way. The Financial Services Ombudsman outlined the role and mandate of the Ombud, the types of products people complained about, the Ombud's role in the economy and the strategic goals of the Ombud’s office. Members said they were disappointed in the Ombud because 32 000 people were still waiting for the resolution of the Sharemax issue, which had started in 2009, to be resolved. Members asked what the impact of the introduction of twin peak legislation would have on the office. Members wanted clarity on the R800 000 limit to cases the Ombud dealt with. What was a clean audit award? What could the Committee do to assist the Ombud? Members asked if there was no provision to increase the R800 000 amount. Members said the Committee would look into the matter of twin peaks’ impact on the Ombud. Members asked if the Ombud had communicated with the pensioners in Sharemax. Members said Treasury should engage with the Ombud and the PFA so that they could be in the loop regarding twin peaks. Land Bank during the year under review, disbursed a gross amount of R43, 2 billion, the majority of this or R40, 2 billion was short term loans while R2,9 billion was medium and long term loans which is capital expenditure (CAPEX). Capital expenditure (CAPEX) contributes the most to job creation as short term loans which are mainly production loans, mostly maintain jobs and does not necessary creates new jobs. o and an estimated more than 370 thousand jobs were maintained. Mr Lebogang Serithi, Chief Financial Officer, spoke to the financing of emerging farmers and the Retail Emerging Farmers Market (REM) model. Since its inception in 2011 the REM loan book had grown to R391m. Mr Jerome Mthembu, Chief Legal Officer, spoke to the bank’s role in the NDP. Ms Mdlalose said the bank needed to look at an appropriate funding model for loans given to emerging farmers that they were subsidising by two per cent after four percent subsidy by DAFF and given that investors have a low risk appetite for development funding, the two percent subsidy was eroding into its capital and affecting its capital adequacy ratio. The bank needed to grow its loan book so funding constraints had to be addressed. Agriculture had pockets of government funding vested in different government departments which were not aligned. These funds had to be in one pool. Treasury was aware of the challenges facing the bank. Dr D George (DA) asked why the CEO post was not filled and where was the previous CEO. He asked if the money from non-performing loans during the term of the previous CEO would be recovered. The Chairperson said the previous CEO had been appointed by then Minister Manuel and had left in December and had done a superb job in turning the Land Bank around. He was now at Barclays and was a big loss to the bank. Mr D Ross (DA) said he was concerned that the bank was not getting private investors to invest and that it was possibly due to the banks interest rates being capped. He said the 2% subsidy was eroding the capital adequacy of the bank. He wanted more detail on the misalignment of government agricultural funding. What was their role vis-a-vis other similar banks like the BRICS bank? Ms P Kekana (ANC) asked which other institutions dealt with agricultural development funds. She asked whether the bank should not take a stake in the businesses so that it was an involved party in the success of the business. Dr M Khoza (ANC) asked what the philosophy of the bank was. What was their relationship with universities and agricultural colleges? Mr D Van Rooyen (ANC) said the Committee had never received a report on the mess that the bank had been in and the various cases that had arisen. How could the Committee assist on the misalignment of funding? How were the non-financial challenges going to be addressed? The Chairperson said redistribution was not working. According to the Minister, only four per cent of redistributed land was viable. Was the jobs the bank claimed it had created, work or work opportunities? How did one strike a balance between commercial and emerging farmers? How had the bank engaged with the Committee and with the Department of Rural Development and Land Reform (DRDLR) over the past five years and what would they like the Committee to do to assist them. Ms Mdlalose said the process of filling the post would be finalised by end September. National Treasury was aware of what was happening in the Department of Agriculture, the DRDLR and the Land Bank. There were cases where an emerging farmer came to the bank for finance and the bank would realise that if the farmer went to the DRDLR to use their recap finance but this process was slowed. There were still clients who did not repay their loans to the bank who were getting funds. This was not benefiting all the parties involved. The alignment of funds would benefit the client and help him become sustainable. The bank went to the market to get funds but investors were risk averse. The bank went to commercial farmers for technical support and access to markets for the emerging farmers. Treasury had scheduled a meeting on the different pockets of funds for agriculture held by the Department of Trade and Industry, the DRDLR, the Department of Agriculture and other departments. In one project it had been found that the funds disbursed by different institutions were for the same purpose. It was agreed that a plan needed to be put together so that funds were in one pool using the bank as the financing vehicle. Technical teams were created and follow up meetings need to be held. The proposals needed to be put to the two Ministers. They would approach Treasury and agree the role the Committee could play to fast track and conclude the process. Regarding access to information, she said the bank’s focus had been internal control in the last five years. In the current financial year the bank had gone out because farmers did not understand the Land Bank. Some farmers were not aware that the bank’s structure had changed post 1994. Some thought the bank was a government bank and there was no obligation to repay the loan. The bank had worked with the farmers and participated in forums working to educate farmers that loans need to be repaid. Mr Serithi said NPL were non-performing loans that were in arrears for more than six months. The bank had a sophisticated automated loan management system. The NPL to book ratio had improved from 4.9% to 3.2% in 2013. In the past the worst ratio had been 22.5% and a lot of effort had been put in to reduce that ratio. R300m in arrears had been recovered by 2014 but this was still a continuous process. The reduction in NPL had taken place while the loan book had tripled in value. NPL’s in 2009 was R3b and that had been reduced to R2b. The bank did look selectively at taking equity stakes in businesses applying for loans. This was easier with bigger businesses and more difficult with individual farms. This was also an avenue for them to diversify their sources of income. The bank was co-ordinating with development finance institutions, on some projects it co-financed with the DBSA or the Industrial Development Corporation (IDC). It had worked with sister DFIs to alleviate the impact of the flood disaster of a few years ago. The bank donated R1m of clothes to agricultural colleges every year to facilitate research which would assist the bank in its lending decisions and financed a project in the Eastern Cape with the University of Fort Hare and most of the people employed on the project were agricultural students. It also took in interns from different agricultural colleges and universities as its contribution to skills development. The Chairperson asked what could be done to make a success of land reform. What did they want the Committee to assist them with. Mr Mthembu commented on why land reform had not succeeded. He said it boiled down to the choice of beneficiaries. The beneficiaries chosen for a fund could not work together. They fought over issues and the projects collapsed. Secondly, funding was an issue as one could not give a farm without funding and support as the farmers were lacking both financially and non-financially. So the individual being put together to farm had to have a vision and be willing and committed to farm. The Chairperson asked what sort of non-financial support would work, given the limited state capacity. Ms Mdlalose requested the Committee to assist on funding for development. The Bank had set a target for the current year R1b. It had secured R500m from Africa Development Bank but the pricing was very high, almost the same as if going to the financial market. The funds were to assist the development of emerging farmers. The Chairperson said Treasury had to have an official present when bodies like the bank presented to the Committee. He said the banks report and the written responses to the questions were to be delivered in ten days’ time. Mr S Matiase (EFF) said Land Bankshouldinclude their Annual Performance Plan as well. Ms Kekana said the bank should be using the SA Reserve Bank (SARB) as it was open to assisting institutions. 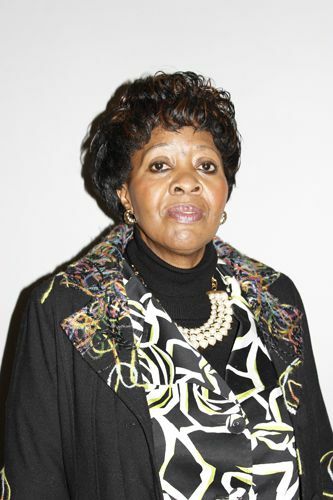 Ms Muvhango Lukhaimane, Pension Funds Adjudicator, spoke to the mandate of the Pension Fund Adjudicator and noted funds that were outside its jurisdiction like the Government Employees Pension Fund (GEPF) and the Transnet funds. They were further restricted by a three year time period after which complaints could not be addressed by the adjudicator. Other restrictions were businesses under business rescue, section 15B surplus apportionment scheme funds, trust funds and bargaining council funds. In the past financial year 5 405 complaints had been lodged and 6 763 cases were resolved. The difference in figures was because a backlog had existed. This backlog had now been cleared and 85% of cases were resolved within six months. 58% of the cases revolved around withdrawal benefits. She spoke to the National Development Plan (NDP) and said the office was trying to capacitate its employees. Of concern was the lag between the time the PFA noted abuses in the working of a retirement fund and the time the law was changed, which led to the law being eroded. Some funds took a long time before paying out death benefits and it appeared to be a racial issue where if it was a white family, the pay-out was made but if it was a black family, the funds were paid into a beneficiary fund. She then spoke to the strategic plan briefly. Challenges which were identified were delinquent funds and employers, a lack of consumer education, public awareness of the adjudicator, the non-existence of an appeal mechanism and the lack of an enforcement mechanism. Mr Van Rooyen asked what their budget for litigation was. What role did they have in increasing financial literacy? Dr Khoza said the PFA had an important role in sensitising communities as it was not known by the public. What was its marketing budget? Ms S Nkomo (IFP) asked why people were withdrawing their pension monies instead of saving their money. What could be done regarding black people being singled out when death benefits were payable. What public awareness was being done as there was a lack of consumer education in townships and rural areas. The Chairperson asked if the PFA had a board and what the structure of the board was. He said apart from the issue of the pay-out of death benefits, people had approached him in cases which could be described as a cultural, structural or historical issue where the deceased had children with multiple partners. How did one determine the beneficiaries then and how was the process managed. He said it was very challenging, of eight cases he had tried to mediate not one had been resolved. He asked how long, on average, the settlement process took from complaint to resolution. Ms Lukhaimane replied that the organisation had a budget of R47m which came from levies collected by the Financial Services Board (FSB) from pension payments. Regarding litigation, she said that if there was an appeal then the PFA could not be involved. She said that there had been 13 cases of appeal from 4 000 judgements. Its role in financial literacy was to participate in structures of the Treasury involved in improving financial literacy. She said the people who were giving advice to consumers were the people who stood to benefit from the sale of products so it was important for financial literacy efforts to expand. Consultants confused pension fund members which led to an increase in cases for the PFA. The marketing budget was in its infancy. R300 000 was for promotional material and the training of employers to go on radio and were committed this year to road shows in four provinces. Regarding the withdrawal of pension benefits, she said this was the complaint of most employees and occurred because employees were dismissed or retrenched and needed access to funds. She said the only way to curb the apparent racialism was through education because beneficiaries thought that they were not entitled to the money as a lump sum and they were told the money goes into a beneficiary fund. She acknowledged the lack of public awareness as they did not have a provincial footprint and only had offices in Pretoria. She said the PFA reported to the Treasury through the FSB. The FSB board was the PFA board. Regarding multiple partners of a fund member who died, she said the PFA received many of these types of complaints, but once the people involved litigated, the PFA could not intervene. This was also a matter of consumer education as dependants of all partners were entitled to a death benefit. Fund members should declare their children as beneficiaries to ease the process. All dependants were entitled because it was meant as a social protection. Dr Khoza asked whether an employer could withdraw the funds unilaterally and take a portion from it for loans owing when an employee resigned and wanted to transfer monies to another fund. Were cases like these a PFA case, a Council for Conciliation, Mediation and Arbitration case or a Department of Labour case? Ms Lukhaimane said employers were not allowed to deduct from the pension fund benefit for cases like loans. The only exceptions were for cases like theft or fraud of the company and the employee had to sign a formal acknowledgement of liability document. The Chairperson acknowledged the crucial role played by the PFA and asked if the Committee could assist in any way. Ms Lukhaimane said the committee could assist in the transition of the PFA because of the looming twin peaks legislation. The PFA was busy developing its view on how it should pan out but it would need assistance. The Chairperson said work was being done to ensure that it was tabled in the beginning of the next year. Ms Noluntu Bam, Financial Services Ombudsman, outlined the role and mandate of the Ombud. It was established in 2003 and started operations in 2004. It resolved complaints informally. It reported to the FSB and to the Treasury. It was a reactive body dealing with claims under R800 000. Complaints had to be forwarded within three years of services being rendered or became aware of the problem. She talked to the products people complained about. The most complaints being short term insurance (27%), long term insurance (25%) and investments (23%). R51m had been returned to clients in the last financial year. She spoke to the Ombud's role in the economy. Ms SithabileSabela, Assistant Ombud, spoke to the strategic goals of the Ombud’s office. She said 80% of complaints were resolved within 9 months. The office had received an unqualified audit report from the AG. Mr Ross said he was disappointed in the Ombud because 32 000 people were still waiting for the resolution of the Sharemax issue, which had started in 2009, to be resolved. Members of the Sharemax scheme had been told it would only be resolved in two years’ time. Press reports indicated that the office was dysfunctional. He said people had not gone the legal route because they would then be disqualified from using the Ombud. He said he would be writing to the SARB on the issue also. Dr Khoza asked what the impact of the introduction of twin peak legislation would have on the office. She said there were cases of service providers including services without letting consumers know that these insurances were bolt into the price. The Chairperson wanted clarity on the R800 000 limit. What was a clean audit award? What could the Committee do to assist the Ombud? Ms Bam said the Ombud had the power to act in cases where the damage was less than R800 000. She said the figure had always been that since the existence of the office. Dr Khoza asked whether a body looked at the R800 000 figures. The Chairperson asked if there was no provision to increase the amount. He said he would look into the matter of twin peaks impact on the Ombud. Ms Bam said the Sharemax complaints were from 2010. It had investigated whether the damages could be claimed because of bad advice to clients. In the process they came to realise that the directors of companies and the brokers had been brought into the fray as well. This had been the battle as the Ombud was still waiting for the result of an appeal against a ruling to be made known. The directors were claiming that the companies were no longer in existence and that therefore the Ombud could not be involved. If the Appeal Board agreed with the appeal then the matter would have to go to court. Until then the Ombud could do nothing to the cases. The Appeal Board had to make a decision which was set down for January. She said it was not only Sharemax, there were other similar cases too, like BIC and Blue Zone where the directors would put the company into business rescue and then the company would disappear. The Chairperson asked if the Ombud had communicated with the pensioners in Sharemax. Ms Bam said standard letters had been sent informing them that nothing could be done currently until the Appeal Board had made a decision. She said the Ombud was visible in newspaper articles and the office did radio interviews where they talked about Sharemax. Responding to Dr Khoza’s question on additional services being included, she said it did occur, for example when one bought a car or house. The agent benefitted from the sales. These types of incidents could be dealt with by the Ombud and the money and interest would be repaid. She said the staff in the Ombud office was disillusioned with twin peaks because of uncertainty over who the governing body would be. They hoped that the end could be reached sooner. Mr Jean Goodey, Finance Manager, said the clean audit award was an award that had been instituted by the Auditor General for all institutions that received an unqualified audit. The Chairperson said Treasury should engage with the Ombud and the PFA so that they could be in the loop regarding twin peaks.